After several years with a basic website, it was time to redevelop their image on the web. 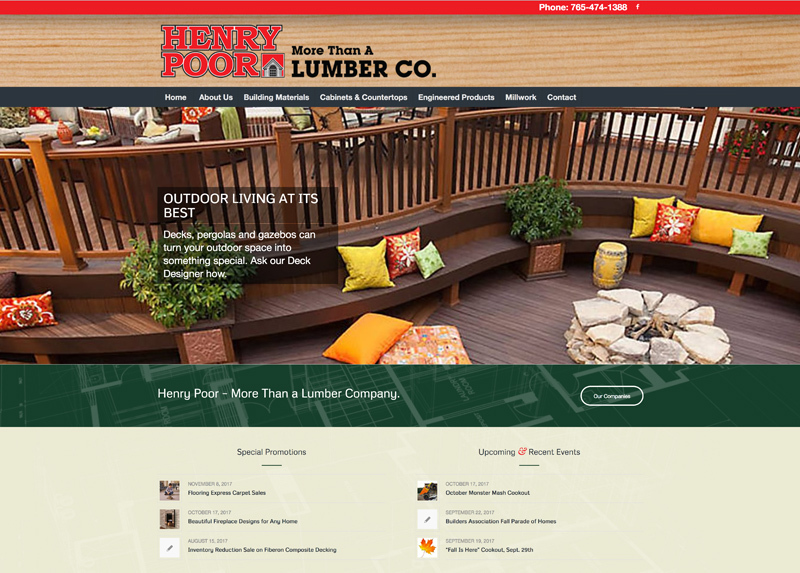 Henry Poor Lumber Company is the premier homebuilder supply company in Lafayette, Indiana. With over 75 Years in the Greater Lafayette Community, Henry Poor Lumber is ready to take on the next 75!